Are you browsing for a new or used vehicle? If you are stuck between buying vs leasing, don’t worry–you’ve come to the right place! Deciding on how to finance your very first car or upgrading your next vehicle can be an overwhelming decision to make. Let our financial experts make the car-buying process as simple and hassle-free as possible for you. Allow our financial consultants to guide you in making an informed financial decision on your next big purchase. 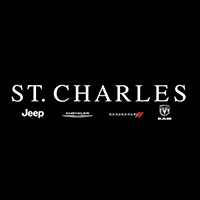 At St. Charles Chrysler Jeep Dodge Ram we offer a variety of flexible financial solutions to make financing your next new car as stress-free as possible. You can use our Edmunds MyAppraise Trade-In Tool, apply online or in-store for financing, or estimate your future payments with our Payment Calculator located on our website. Start your pre-approval process early by applying online or speaking with our knowledgeable financial advisors.